I've done release day posts before- for my own books. Today's post is a different sort of release day post. It is release day for the first book written by somebody else that I'm publishing through my publishing company. 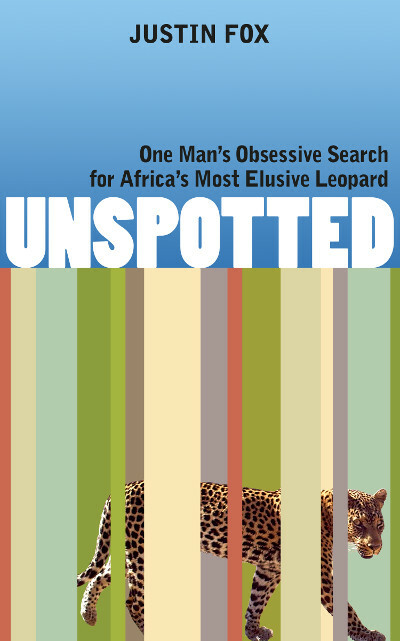 Unspotted, by Justin Fox, is a short ebook about the endangered Cape Mountain Leopards of South Africa, and about Quenton Martins and The Cape Leopard Trust, who are working to save these beautiful animals. It is also a travelogue of sorts as Fox journeyed into the Cederberg Mountains to try to see one of the elusive cats for himself. Obviously, I really like this book- otherwise I wouldn't have bought it to publish! I think you'll like it, too, so check it out. Jennifer Gruden says it is worth picking up- and compares it favorably to Douglas Adams' Last Chance to See, which is a book I also love. GumRoad (this is direct from me, and includes the MOBI for your Kindle, the ePub for other ereaders, and a PDF for those who want a hardcopy- you can print it out). I'll add links to other channels to the Annorlunda Books page for the book as they become available. Specifically, for the librarians in my audience: Overdrive is in process (via Smashwords). If you have suggestions for other places you'd like to see the book, let me know. I also made it the pick of the week at Tungsten Hippo, so you can read more of what I thought of the book there. And I added this edition to GoodReads (it had previously been published in South Africa by a now-defunct publisher). If you want to help me make this book (and my publishing company!) a success, you can buy the book, read it on a subscription service, write a review (these really help), tell your friends about it, add it to your GoodReads shelf, or share it on social media. Although one of the great things about ebooks is that sales can build slowly over time, a big boost on release day can still really help a book, because it helps get the book promoted by the retailers' algorithms. So if you think you'll buy the book, please consider doing so today. A sale at anytime is great, but a sale today is extra helpful. Regardless, thanks for reading. I'll be back to my usual random mix of posts soon. This is so exciting, and I'm so impressed with how you've been doing with your own books and now with your publishing company! 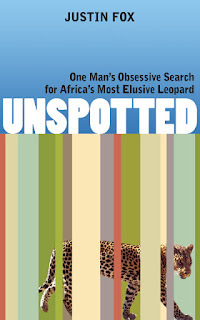 Great read for those who love endangered species travelogues. Nice sense of place. It's professionally put together. Bonus: It comes with pictures!